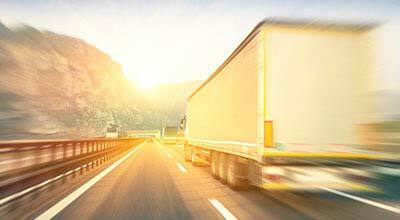 Camp Verde, Arizona—The brakes on a semi-truck reportedly failed Wednesday afternoon, causing it to collide with another vehicle, resulting in that driver’s death. 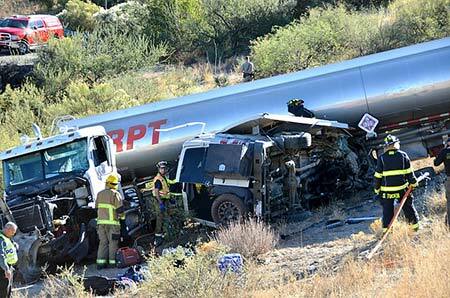 According to Arizona Department of Public Safety accident investigators, a diesel truck lost its brakes as it exited Interstate 17 at milepost 287. The truck driver was unable to stop at a red light before it collided with a Mercedes van that was westbound on State Route 260. The truck proceeded through a guardrail and down an embankment, where it came to rest. The unidentified 47-year-old man driving the Mercedes was its sole occupant. Emergency crews had to extricate him, but he was pronounced dead at the scene. The semi-truck driver was transported for treatment of minor injuries. No other information presently is available, as the investigation continues. We extend our condolences to the family and friends of the man who died over this tragic loss.